Welcome back, I hope you had a wonderful break and are ready to begin the next exciting journey? This term our focus book is 'Twas the Night Before Christmas' we will be reading this as a class looking at the use of old and new language, the rhymes and descriptions. 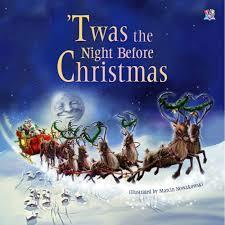 We will use this book to write about what happens on the night before Christmas in our homes. Pipit's class are also learning about art, and artwork produced by notable artists. We take inspiration from Van Gogh's paintings through the wonderfully rich 'Katie and the Starry Night' written by James Mayhew. Have a look through the photo's below to see what we have been up to this term. Christmas craft, Nativity, Christmas poems and much more! We were very lucky with the weather and all our parental support on our trip to the woods! It was lovely sipping hot chocolate by the fire.